Will the Spill Spark a Movement? A year after the devastating West Virginia chemical spill, residents have organized. But preventing another tragedy will require taking on the energy industry. It was January 9, 2014, the day chemical tanks owned by Freedom Industries leaked ten thousand gallons of a coal-processing chemical known as MCHM into the Elk River, contaminating the water supply for over three hundred thousand people. Driving home to Charleston, Dalzell watched as cars swarmed the parking lots of Krogers and Save-A-Lot and panicked residents packed their trunks with bottled water. Once home, he checked Facebook and saw photos posted by a friend who had taken a shower before hearing the water advisory. Spread across her legs were ugly, blistering rashes. In the week that followed, Dalzell was shocked by the utility’s disorganized response to the spill. He recalls that West Virginia American Water (WVAW) issued a memo instructing residents to run their taps to flush the poisoned water from their homes, but forgot to mention the chemicals produced fumes and that people should open their windows. Just four days after the spill, the utility began lifting the no-use order for some parts of the state. Two nights later, the Center for Disease Control advised pregnant women not to use the tap yet, just in case. What was different last year was the location — the capital city — and magnitude of the spill; it was large enough to capture the attention of national news networks and demonstrate the grotesque upshot of energy industry dominance. Nine days after the spill, there had been 2,302 calls to the Poison Control Center, 20 people admitted to the hospital, and 411 released from emergency. And there were financial costs, too: one lawyer estimated the harm caused to businesses and workers in affected counties at half a billion dollars. Dalzell was one of over a hundred residents who, flabbergasted by the state’s lack of preparedness for the spill, decided to attend a town hall meeting on the water crisis. That night, residents formed working groups to spearhead different actions. One developed a new organization called Advocates for a Safe Water System (ASWS), whose mission was to demand that the state and WVAW alter their practices to prevent a repeat of January 9. They ran petition campaigns to pressure the Public Service Commission to hold WVAW accountable, investigated WVAW’s readiness for the spill, and held forums to make water safety reform a subject of public discussion. The group consists of both seasoned activists and residents like Dalzell with little previous organizing experience. “I was your standard liberal,” Dalzell says. “A member of any group? No, not really.” The organization is working to appeal to a broad spectrum of West Virginians — even those who have never considered themselves environmentalists. This month, ASWS is among a number of groups holding events for the one-year anniversary of the spill — education workshops, rallies at the statehouse, a candlelight vigil along the Kanawha River, a film screening on West Virginian water activism, a leadership training, a summit on chemical safety, and a strong presence at Tomblin’s state of the state address. This rising tide of activism is notable in a state like West Virginia, where the energy industries possess both monetary, political, and ideological power, acting through citizen volunteer groups like Friends of Coal that produce bumper stickers and license plates insisting that coal is critical to the state’s identity and economic future. To organize in such an atmosphere takes bravery and dogged commitment — in past years, environmentalists fighting the coal industry have suffered police brutality, road harassment and death threats. While water safety reform is irritating to powerful interests, it doesn’t threaten their dominance. But if a broader mobilization against state retrenchment, privatization, and the power of capital is in the offing, the direction of the state’s politics could fundamentally shift. The federal government once played a large role in maintaining and expanding local infrastructure. 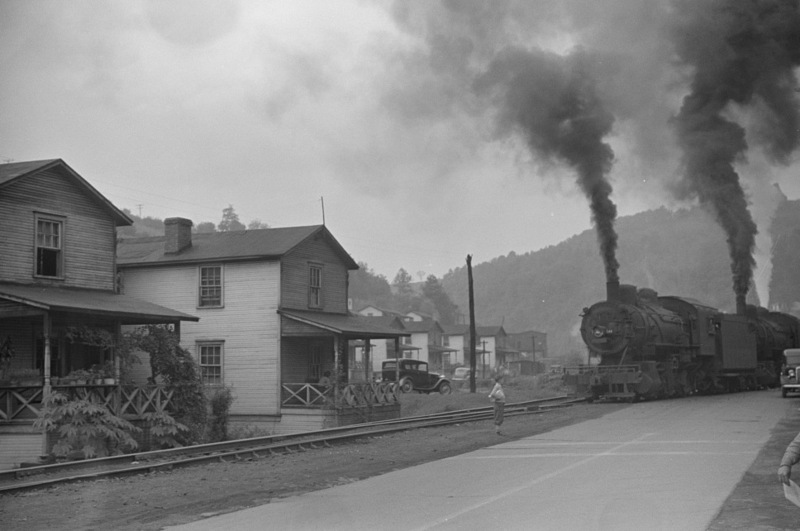 The New Deal, for instance, pumped federal money into rural areas to develop electric systems and sewers; the Tennessee Valley Authority famously modernized the South. That began to change in the 1980s, when the national government disinvested in everything from public housing to water systems. In 1987, Congress amended the Clean Water Act to transfer the cost of maintaining local water infrastructure from the federal government to local entities. Today, the country’s infrastructure is in shambles. The American Society of Civil Engineers estimates that by 2020, the total investment needed to repair the system will rise to $3.6 trillion. Charles Fishman, the author of The Secret Life and Turbulent Future of Water , blames decaying infrastructure and outdated regulations for the water disasters of the past year, including a water main break in Los Angeles and the poisoning of Toledo, Ohio’s water system last summer. Federal retrenchment has saddled local governments with unmanageable costs and led to the widespread privatization of utilities. More concerned with profits and shareholders than delivering clean water, private water companies have laid bare the flaws of funneling public goods through for-profit actors. WVAW is a perfect example. A subsidiary of New Jersey-based American Water Works, the largest investor-owned utility in the country, it has increased its West Virginia coverage area over the past forty years by purchasing fledging municipal-owned utilities and providing water to rural areas where natural well water had been contaminated by coal pollution. But supplying clean water in mountain country is no easy task, and the expansion has been an unprofitable strategy for the company. To recoup costs, ASWS board member and researcher Gabe Schwartzman says, WVAW has resorted to cutting maintenance costs and raising water rates. American Water Works, rather than making serious investments in West Virginia’s infrastructure, continued to pay out $5.3 million to shareholders this year. “They are certainly a reckless corporation,” Schwartzman says, “But they’re inherently going to be reckless because that’s their job.” By relying on profit-maximizing companies — and then further compounding its abdication by providing inadequate oversight — the state has failed to secure the provision of perhaps the most rudimentary public good. But it’s not just West Virginia’s fault for failing to prepare for the spill. MCHM is one of 64,000 chemicals “grandfathered” into the federal Toxic Substance Control Act, and thus permitted without any proof of safety. The lack of oversight of new chemicals like MCHM is an issue that affects consumers everywhere — and yet Congress just approved a new budget that cuts the Environmental Protection Agency’s funds for the fifth consecutive year and to the lowest level since 1989. In the spring, public rallies of unprecedented size drove state legislators to enact new regulations for aboveground storage tanks and mandate improved management by water utilities. The Department of Environmental Protection, facing consistent public pressure, has rapidly promulgated new regulations for over-ground storage tanks. Groups like ASWS are also participating in the Public Service Commission’s investigation into WVAW’s response to the spill. In November, they were among the multiple agencies and organizations that offered testimony to the commission describing the utility’s mistakes. The utility sold off monitoring equipment in 2004 that could have helped detect the January spill, they charged. And the company repeatedly promised to study “potential contamination sources” upstream from its water plant but never completed the study. Other criticisms abounded, including that the company had violated twenty water utility regulations during its response to the spill (a claim the company denies). Clearly feeling the heat, the company released a notice in December detailing new investments in water safety equipment and plans to develop new monitoring and chemical detection systems, a secondary water source, and a better system for alerting customers of emergencies. Though they have pressured WVAW into action and pushed reform through the state legislature, ASWS remains frustrated by the company’s refusal to turn over documents related to its emergency management plan and its attempts to narrow the scope of the investigation to exclude its pre-spill operations. This secrecy, they fear, is a sign the company hopes to obfuscate its responsibly for the disaster and shift the costs of infrastructure improvements onto ratepayers. Fishman argues Americans have lower water bills than most people around the world, and should be willing to pay more. “The truth is that if everybody paid 10 bucks a month more on their water bill, we could step up the improvement of the water system,” he told NPR in a recent interview. Yet should it be the ratepayer who foots the bill when the shareholders of private water utilities continue to profit? Why not have public utilities deliver the water and cut out private capital entirely? The privatization of the water system has not only increased the costs of providing a public service; it also makes it nearly impossible to hold the right parties accountable. In a common ploy used by companies in consumer litigation suits, Freedom Industry eluded responsibility by declaring bankruptcy. The company reached a $2.9 million settlement with litigants to create a fund for impacted residents, and is also paying for the remediation of the tank site. Area residents and WVAW footed the bill for the other impacts of the spill, and residents will likely end up subsidizing some of the cost of remediating Freedom’s site, too. Normally, utility costs are passed onto customers in the form of higher water rates. It’s up to the West Virginia Public Service Commission, which regulates utility rate increases, to rule that the water company should instead pay for improvements out of its shareholder’s profits. On the legislative front, there is also cause for worry. This year’s organizing around water safety had little effect electorally. “Like so many other states, we were guilty of doing what a lot of other Democrats in other states do. No one could tell the difference between us and the Republicans anymore,” says Delegate Nancy Guthrie, a Charleston Democrat. Activists fear the limited reforms they’ve achieved are now under threat. Even if West Virginians succeed at winning a new water source or obtaining a better monitoring system, they will be far from deposing the energy industry. While King Coal has been on the decline, natural gas production has more than doubled in the past two years, infusing the energy sector with new life. Cathy Kunkel, an organizer with ASWS and longtime activist in the area, says that the push for water safety reform could evolve into a broader movement for systemic change. “When an immediate crisis hits, people are not automatically . . . [applying] systemic analysis,” she says. But the demand for a safe water system, she says, will require participants to begin challenging the state’s “lax regulatory climate” in a host of arenas. Junior Walk, an activist who grew up in a valley hedged by mining sites and coal slurry deposits, hopes that newly organized residents will begin mobilizing against the longstanding degradation of rural inhabitants’ health and safety by energy extraction. Studies show that West Virginian communities with mountaintop removal coal mining suffer from double the rate of cancer and 42 percent higher birth defect rates than other West Virginian counties. “What would be really great is if some of these people that have gotten all worked up over water quality and permits near wealthy neighborhoods would use some of their newfound political and organizing power to help those who’ve been struggling for justice in their backyard for decades,” Walk says. On Thursday, three of Freedom Industries’ former executives pleaded not guilty to spill-related charges. Holding such individuals accountable is of course necessary, but hardly sufficient. More fundamental changes — away from energy industry dominance, toward democratic control — will be needed to prevent another tragedy. Abigail Savitch-Lew has written for Dissent and City Limits and is currently an intern at the Nation.